This handout picture treleased courtesy of Linette Grzelak shows a sunfish that was washed ashore and found dead in Coorong. 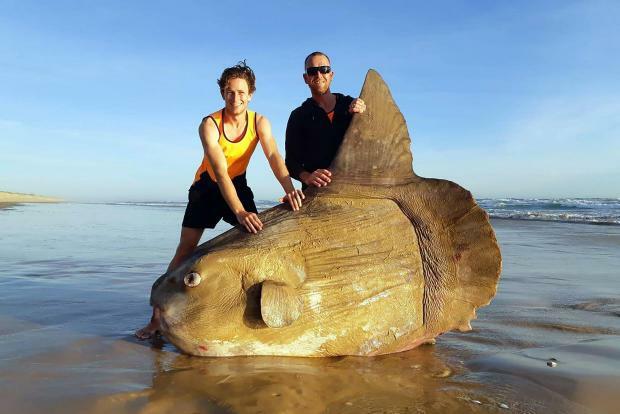 The 1.8 metre (six feet) specimen - believed to be a Mola Mola, or ocean sunfish - came ashore near the mouth of the Murray River in South Australia at the weekend. The fish can weigh up to 2.5 tons, according to National Geographic.